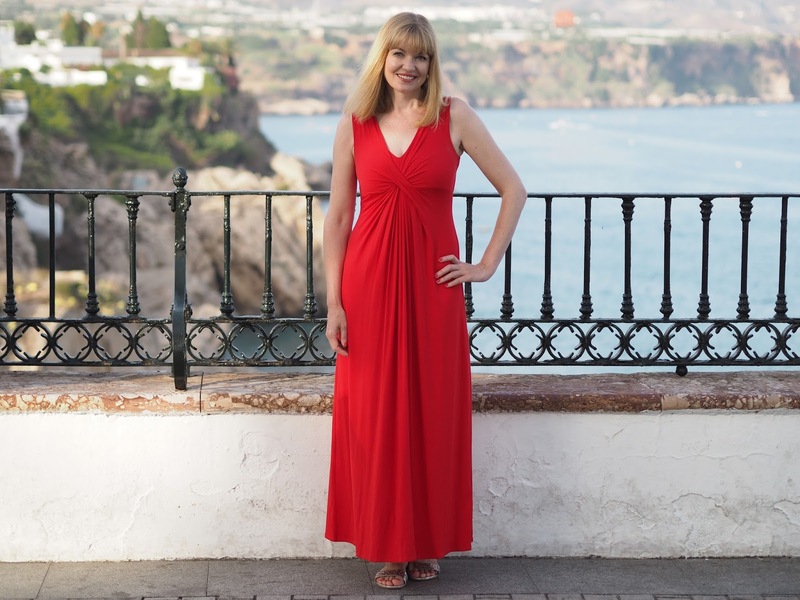 A Red Jersey Maxi Dress, Silver Sandals and No Jewellery. (Because I Forgot). Well, I think I’ve managed to eek out my summer holiday to Nerja rather well by posting my outfits along with photographs of the beach and of the architecture, but this is the penultimate one (one more about a cute nautical swimsuit and matching cover-up still to come and then I’ll write a summary of my holiday wardrobe by way of a packing post). 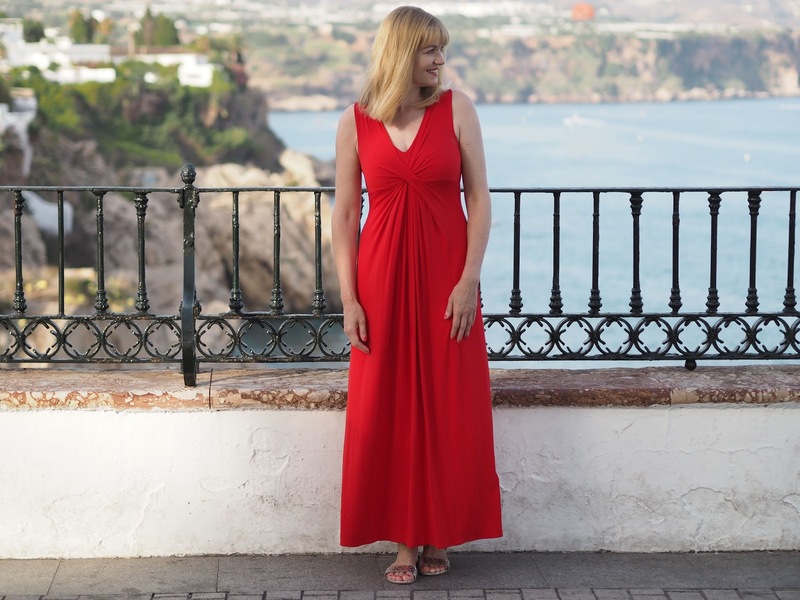 From my previous Nerja posts, it’ll have been apparent that much like when I’m at home, a dress is my go-to option for most occasions, be that a work meeting, a meal out or a girls night in. From a practical point of view, a dress takes up less room in a suitcase than separates and is easy to accessorise- a piece or two of jewellery,a pair of shoes and bag is all that’s needed. I find a dress infinitely more comfortable too than say a skirt and top, especially in hot weather and especially when eating because there is no interference from one’s waistband. This bright red maxi dress was an impulse buy shortly before I went away. It was on display, in the sale and in my size and I knew it would be perfect for dinner in Nerja. I love the flattering folds. I added flat silver sandals and didn’t add any jewellery because I forgot to! Previous Post Red Fifties Style Sundress with Synchronised Swimmers Print.